Flashback TIME! Also, so many lives have been ruined by the existence of sock monkeys. Isn’t it time we fought the real enemy? This entry was posted in Comic on April 25, 2014 by Casual Notice. So, here’s our first demonstration of Schmookie’s ability to change shape at will. Scot is understandably surprised to have a twin. 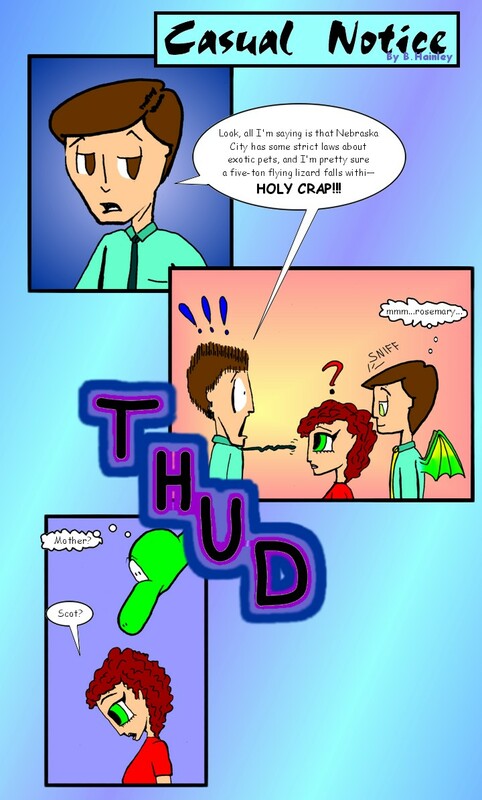 This entry was posted in Comic on April 18, 2014 by Casual Notice.